Update: Just as I post this, I am greeted with the same message again. probably changing product catalog/ site layout. I received the message a few times today as well, but clearing the browser's cache (or using a Private/Incognito browsing window) seemed to resolve it. Had it a couple of time myself yesterday, with a combination or refreshing or clearing the cache sorting it each time. 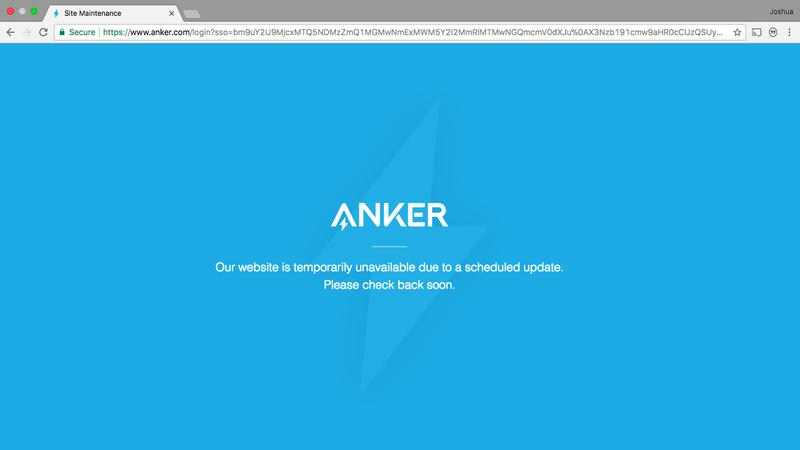 Most likely Anker are doing background updates to the site or are experiencing higher amounts of traffic at the time you get the message. Might have something to do with #AnkerOnBoard. I figured they would have posted an event teaser on anker.com by now... for those who don't check the Community but frequently visit their main site. Maybe they'll send out an email, too.